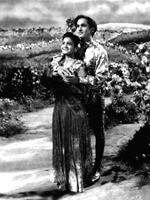 Synopsis: The son of the gardener Thota Raamudu (NTR) falls in love with Indumathi (Malathi), the princess of Ujjain. When he faces resistance from the king, he approaches a Sorcerer (SVR), who actually plans to sacrifice this young, brave lad to the goddess Patala Bhairavi (Girija) to attain the magic statuette, which would grant any wish. Raamudu finds about this plan and sacrifices the sorcerer and obtains Patala Bhairavi. 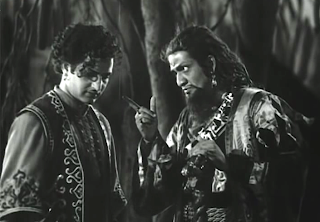 Trivia: After 'Maya Maschindra' (1945), Mukkamala played as hero in this movie. G. Varalakshmi played negative role. Trivia: This was based on Sarat Chandra Chatterjee's novel 'Ramer Shumoti' (Ram Returning to Sanity). 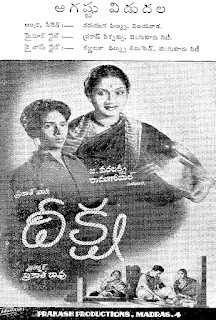 This was debut film for two singers, Prasada Rao and M. Venu. 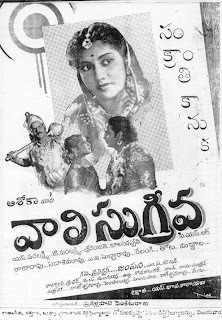 Later, Prasada Rao was given music for the movie 'Amara Sandesam' (1954) along with Kelkar and givien music independently for the movie 'Penki Pellam' (1957). 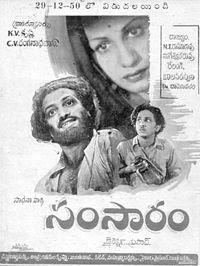 M. Venu became popular as Master Venu as a music director. 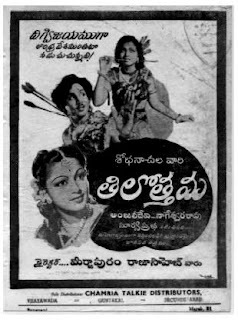 Trivia: Initially Savitri booked as second heroine opposite Akkineni, but the director LV Prasad disappointed with her performance. She dropped after some shoot and Pushpalatha replaced her. 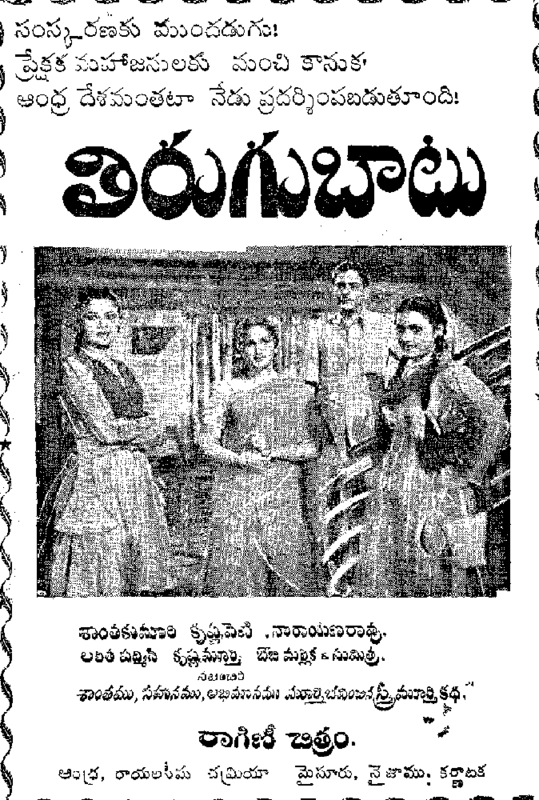 Anyway Savitri did a small role of Pushpalatha's friend. 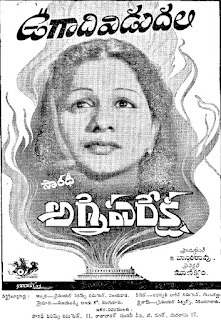 Later, Savitri made her mark with the great performance as 'Missamma', eventually directed by LV Prasad. This was first film for Sadhana Productions. 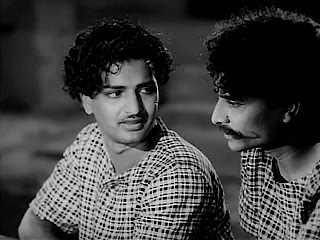 NTR and ANR played as siblings. 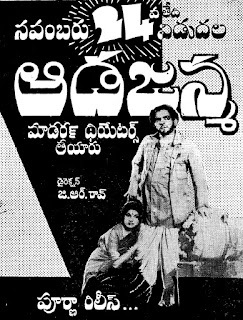 Associate Directors: Tatineni Prakasha Rao, Rajinikanth Producers: Nagi Reddy and Chakrapani Director: LV Prasad Banner: Vijaya Pictures Release Date: 7 April Trivia: This was the first movie for Vijaya Pictures. 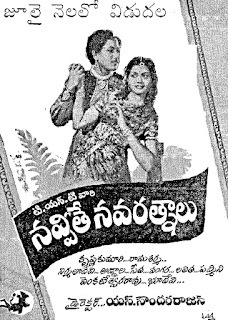 This was first movie for NTR as male lead and Janaki as a female lead. Synopsis:Sri Lakshmi is the daughter of Musalappa Naidu, the village head of Durgi. Venkaiah Naidu hails from a rich agricultural family in the neighbouring village Lingalapuram. His elder brother, Subbaiah Naidu, is the village head. The marriage of Venkaiah with Sri Lakshmi is performed on condition that he stays at his father-in-law's house as illarikamalludu. All is well till dancer Radha enters his life. Venkaiah deserts his wife and daughter and returns to Lingapuram. Sri Lakshmi too comes to live with her husband. When she refuses to perform the marriage of her daughter with her sister-in-law's son, her mother-in-law and sister-in-law torment her and poison Venkaiah's mind that she has an illicit relationship with the servant. Enraged, Venkaiah kills Sri Lakshmi and repents. He becomes blind. A temple is built for Lakshmamma and the marriage of her daughter is performed as per her earlier wish. Her divine hand heals the eyes of Venkaiah.